“The Libya model, as Kim Jong Un has been interpreting it, is that the leader of the country surrenders their nuclear capability only to then be overthrown and killed”. That is the unspoken agenda of US foreign policy. And that is precisely what Trump’s National Security Advisor John Bolton had in mind in relation to North Korea. Moreover, last October, (former) CIA chief Mike Pompeo (now Secretary of State) intimated the issue of CIA political assassinations with regard to Kim Jong-un. 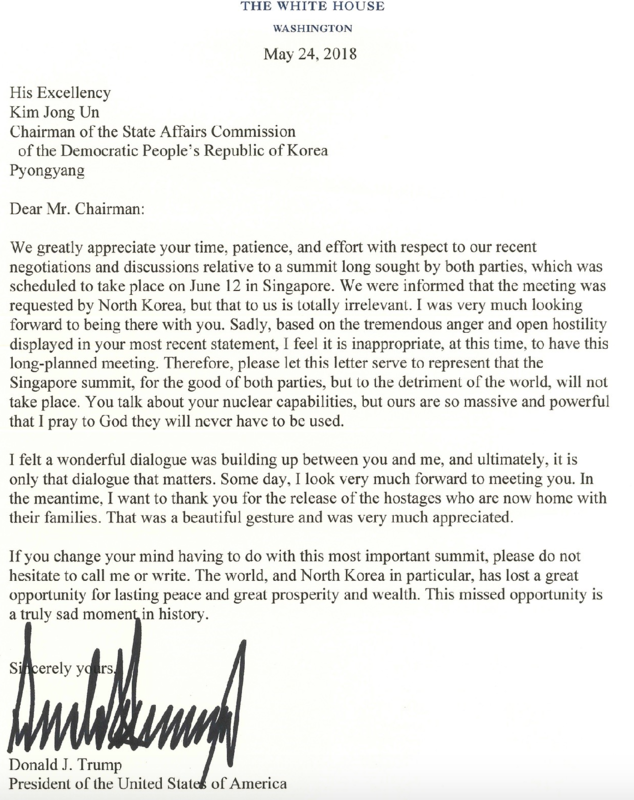 In the days following the sending of this letter, Trump rectified his position with regard to the Singapore Summit. 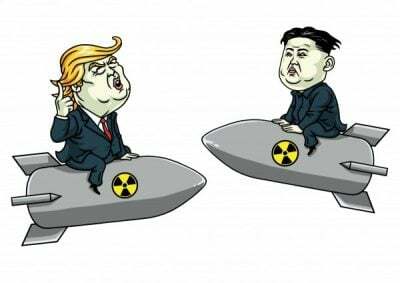 At the time of writing, it is still uncertain as to whether the summit will take place.